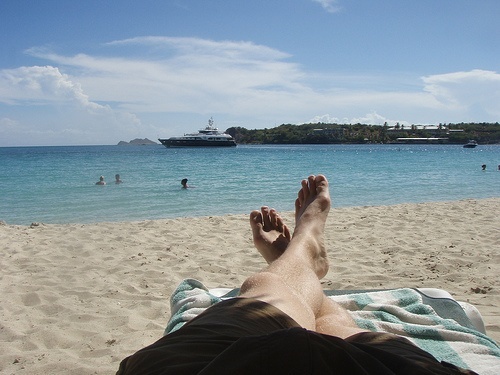 Early retirement has become a favorite topic in the personal-finance blogsphere. There are even blogs devoted primarily or entirely to the topic. The general theme is save enough money regularly, and invest it faithfully (in S&P 500 index funds), and you’ll be able to retire at 55, 50, 45, 40, 35 or even 30. I’ve read a lot of articles on this topic, and if there’s one consistency I’ve noticed it’s that the early retirement health insurance dilemma is completely ignored. I suppose there’s good reason for that. If it’s taken into consideration, it throws the whole arrangement into doubt. Health insurance is probably the single biggest crisis facing America today. And as bad as it is right now, it promises to get worse. That’s true on both a national level and an individual one. On the national front, premiums are increasing predictably each and every year. And on an individual level, since we’re all getting older every year, that age-related health insurance premium increase thing is kicking in reliably. Turning a blind eye to the early retirement health insurance dilemma is akin to ignoring the elephant in the room. Yet it’s exactly what happens in virtually all early-retirement scenarios. After all, if you have to factor health insurance into the equation, the whole rosy scenario collapses. How bad is the early-retirement health insurance problem, and are there any solutions? The fundamental early-retirement health insurance problem is that you are no longer covered by an employer sponsored health insurance plan, and you’re too young to be on Medicare. That puts you at Ground Zero for America’s health care crisis. An article published last week, Rising health insurance costs frighten some early retirees provides some examples of early retirees struggling with this problem. Virtually everyone who retires before they are eligible for Medicare at age 65 will have to deal with this problem. It’s not to be taken lightly. The problem is that due to age and the lack of an employer subsidy, health insurance can easily be the single biggest expense for a retired couple. The problem is made even worse by the fact that early-retirement theoretically occurs in middle age, which causes higher insurance premiums due to age. And the closer that you move to 65, when you will finally be eligible for Medicare, the higher those premiums will become. It’s not an exaggeration to say that if you don’t have a workable strategy for the early-retirement health insurance dilemma that you probably won’t be able to retire early at all. No one can possibly retire without having a provision for their single biggest expense. I don’t hold out much hope for the expected Trump Administration plan to overhaul Obamacare. It may happen, but it probably won’t – the forces supporting the status quo won’t even admit that the system is broken, let alone allow reform to take place. For that reason, were stuck having to plan to work with the system that we have. The most effective way to demonstrate the magnitude of the early-retirement health insurance problem is by working an actual example. This is very easy to do using Healthcare.Gov’s health insurance plans & prices web page. I ran an example using a couple, both age 50, earning $100,000 per year, and living in the Atlanta metropolitan area. Atlanta is an excellent example, because it is both a very large metropolitan area, but it has a more moderate cost structure than other large urban areas. So we have a monthly premium of almost $1,300 – that’s $15,600 per year. If one spouse has a large medical claim, like surgery, you might pay a $2,000 deductible for that person, plus a $5,000 copayment (20% of a total cost of, say $25,000, which is roughly the going rate for simple surgical procedure). That would mean that you will pay $15,600 in a year in which you have no major medical events. But if one of you does have a major medical event, you could be paying out $22,600 – or more. But let’s get back to the base monthly premium. $1,300 per month will very likely be your single highest expense in early retirement. This will almost certainly be true if you have paid off your mortgage, or plan to have it paid off by the time you retire. The early-retirement strategies that I’ve seen again and again routinely fail to take this totally predictable expense into account. What it means is that even if you could survive comfortably on $5,000 per month, you’ll have to increase that to a minimum of $6,300 just to cover your basic monthly health insurance premium. Let’s start by declaring that there are no perfect solutions when it comes to the early-retirement health insurance problem. On a broader level, there are no perfect solutions when it comes to health insurance, period. But with that factoid in mind, let’s propose some suggestions. This is certainly the simplest solution, though it’s not exactly a fair one. After all, it presumes that while you’re enjoying early-retirement, your spouse must maintain a job so that you can both have health insurance. That’s not equitable. But of course, it assumes that your spouse has – or will have – a job that includes health insurance when the time rolls around for your retirement. If you do go this route, be sure to have a workable back-up plan. Jobs can be lost, especially during economic downturns, and even more so as we age. It’s that age discrimination problem that everyone likes to pretend doesn’t exist. After all, age discrimination is illegal, right? I’m a big proponent of semi-retirement, rather than the full-blown version. That’s because semi-retirement creates/preserves a lot of options. One of them is health insurance availability. That’s because there are numerous part-time jobs with health insurance. There are probably more than you can imagine. For example, while it’s become almost a cliché that Starbucks offers health insurance to part-time workers, there are so many other employers, even entire industries, where the practice is common. One example is banks and credit unions. Others include hospitals, county and municipal governments, colleges and universities, insurance companies, airlines, and even many grocery store chains. You typically have to work at least 20 hours per week in order to get this benefit. But it will generally be a lot more affordable than purchasing a plan on the state health insurance exchange. It’s also a strategy that involves creating an income dedicated to paying for health insurance premiums. This strategy won’t enable you to get less expensive health insurance coverage, but it will provide you with a valuable tax deduction. Under current tax law, the self-employed can deduct the cost of health insurance premiums. It isn’t a business expense per se, but you can deduct it nonetheless. One of the big advantages is that you don’t need to itemize your deductions in order to get the benefit. It can be deducted on page 1 of your income tax return. Let’s say that you pay $16,000 for health insurance and you’re in the 15% marginal tax bracket. The deduction will enable you to reduce your taxable income by $2,400. Not a windfall certainly, but every little bit helps. You can take the deduction even with a part-time business. And of course, if you’re in early-retirement, a part-time business will be your primary occupation. It’s another example of creating an income dedicated to paying your health insurance premiums. 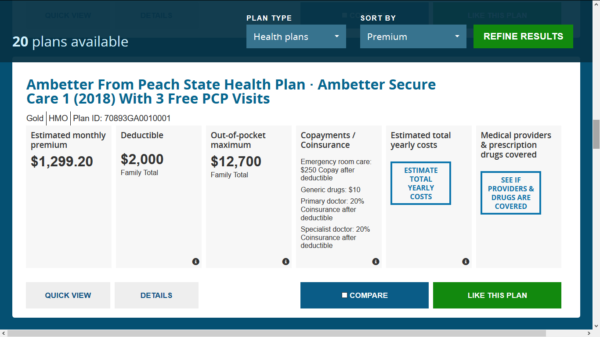 One of the advantages to these plans is that they are “ACA compliant”. That means that if you participate in a plan, you will be exempt from the Obamacare penalty for not having health insurance. There are several different plans available, so you really have to do some deep research. But from what I’ve heard and read, these plans can represent a viable solution to the healthcare dilemma. There are limitations to these plans however. For most, you must be an evangelical Christian in order to qualify. That means that you belong to a church and regularly attend, and do not participate in undesirable behaviors. This can include smoking, excess drinking, and lifestyles deemed to be immoral. They also practice old school health insurance underwriting techniques. That means that if you have pre-existing health conditions, your premiums may be higher, or you may not be allowed in the plan. Another problem is that they are not true insurance. That means that you must work with participating healthcare providers. The systems generally operate on the direct pay basis, rather than on a standard reimbursement that’s typical of health insurance plans. Still, lot of people report very good experiences with these plans. This is based on the traditional idea of taking an insurance plan with the lowest premium, in exchange for a high deductible. You then fill in the deductible gap by adding a Health Savings Account (HSA) to cover the deductible. You can contribute up to $6,750 to an HSA for 2017 (for a couple or family), and it’s fully tax-deductible. This strategy is no longer perfect, though it does merit investigation. The biggest issue is that under the Obamacare health insurance structure, taking a higher deductible doesn’t usually save much money. That reduction in premium totals just $3,132 per year, which hardly justifies increasing the deductible by $11,600. But if you’re healthy, and don’t expect to use your health insurance plan, this could be a way to save a few thousand dollars per year (between the premium reduction and the tax deduction on the HSA). There’s one other issue that would make this strategy a tight squeeze. There are limits on the amount of the deductible and the out-of-pocket maximum that a plan can have. 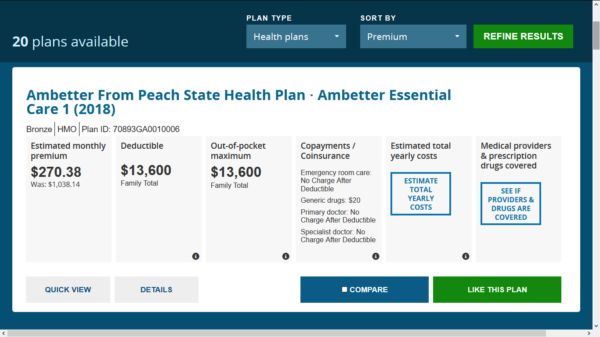 For a family plan (or a couple), you can’t add an HSA account if the plan deductible exceeds $6,550, and the out-of-pocket maximum exceeds $13,100. This puts a serious limitation on the use of an HSA with an Obamacare health insurance plan. That said, we have a private HSA plan in place, and it works very well for us. But then, neither my wife nor I are retired, nor do we use an Obamacare health insurance plan (at the moment!). This is probably the best strategy overall – if you can manage it. In the earlier examples of health insurance premiums, I used the assumption of a married couple earning $100,000 per year. There is no Obamacare tax subsidy with an income at that level. It completely phases out when your income exceeds 400% of the federal poverty level. But if you can reduce your income in early-retirement, you can get a much more generous subsidy. 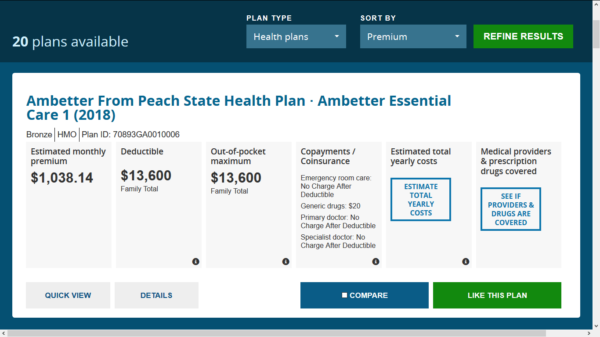 The premium for the high deductible plan goes from $1,038 per month down to $270. That’s downright affordable. It might even be a compelling reason for early-retirement. Of course, that assumes that a couple could comfortably survive on $50,000 per year. In many low-cost rural communities that would certainly be possible. But in the big metropolitan areas, where most people live, it would be tough. Still, it’s a viable solution if you can make it work. Are you in early-retirement, or are you working in that direction? If so, have you contemplated the impact of health insurance on your early-retirement? Have you come up with any other solutions to this problem that you can share with others? Kevin, thanks for highlighting this very real “Early Retirement” killer. I’ve written about the topic, and we have a plan. We’re budgeting $24k/yr, and will retire next year at Age 55. I fear the $24k is too low, but at least we have a realistic estimate in our retirement cash flow forecast. I agree too many folks overlook the seriousness of this issue. We’ll do “private pay” for 10 years, and it’s the thing I worry about most in our early retirement plan. Hi Fritz – You’re one of the few realists on the early retirement front. Most who cover it do their best to pretend that this issue doesn’t exist, or that somehow everyone will get a magic pass. $24k is a realistic number, but my fear is that it won’t be in five years. It’s not just that health insurance is prohibitively expensive, but equally that there seems to be no ceiling on premiums in sight. We’re either going to fix this crisis on a national level, or it’s going to take the whole ship down, and a lot of personal fortunes with it. Good article! I work part-time and carry the health insurance for our family. My husband is a small business owner and the premiums would be more expensive through him. More options (affordable) for the years before age 65 would be nice and would free people up to design a work year on their own terms. Hi Carol – Thanks so much for weighing in on this post. Your story proves the point that I’ve been making (and living) for years that there are part-time jobs with health insurance. Too many people scoff at this option, but it’s worked well in my family for several years. Until/unless meaningful healthcare reform really happens, we’re stuck having to muddle through with this imperfect mess of a system that we have. Keeping a part-time job with health insurance is one of the very best strategies. Yes, we should be very involved in what costs we encouter for healthcare. There should be no reason costs should vary for same services rendered everywhere but cost for healthcare are not transparant and unless you question everything given you don’t get to deal with costs until after. I’ll use a small example–cost of a flu shot should be exactly the same even if you pay for it directly but uness you ask cost, first thing they ask you for is who are you insured with, so billing can add costs to insurer. I went thru that time period with a limited availablity for healthcare between 60-65 and most if not all of my visits to doctor resulted in out of pocket payment because after a certain age we are really not suppose to get help. It is more profitable for insurers to have young healthy people paying for services they don’t use. I am tired of healthcare insurance being rated and charged by geographic area and the number of non-paying “free” insurance coverage. There are enough people in the age group (50-65 prior to Medicare age) to be able to negotiate a better cost of premium based on that age medical needs than to just dump cost based on a blanket statement. It doesn’t get better with Medicare coverage but at that point you get at least a basic Medicare coverage which you need to read all the fine points ( limited coverage) It you are living on a fixed income, which most are, remember that Medicare is not free unless you are living on just $11,000 yearly anything higher you pay. Costs of healthcare need to be transparant. Hi Maria – I also think they’re dragging their feet because they’re afraid that anything that slows healthcare costs might hurt the economy. Healthcare is 18% of the economy, and outside of it not much is growing. They want to leave it alone to grow to “grow” the economy. But healthcare costs are a drag on the economy. Not only are they slowly bankrupting middle class people, but it’s also cutting jobs. So we’re squeezed on both sides from the same cause. Hi Kevin. We use Option #3. We are self-employed, small business owners, and our insurance is through a private plan, i.e., meaning we do not use the ACA. While our cost for two people is over $1100.00 per month, it is a tax deduction for us, so that helps. I just feel grateful to have insurance, as we’re in our sixties, and the costs just keep going up every year. We plan to continue to work as long as we can, even if we can “afford” to retire, mostly because we enjoy our work. I don’t hold out much hope either for an ACA overhaul. I think it’s just too complex and a touchy subject to tackle. Who knows what’s going to happen. Hi Bev – Obamacare reminds me of that saying “A giraffe is a horse designed by congress” – which basically describes everything designed by congress. My guess is that the Obamacare replacement looks even more like a giraffe than the original. I don’t see any meaningful changes in the current system before 2020, if the current system can hold together that long. $1100 per month for two people over 60 is really good. My wife and I (both in late 50s) looked into ACA we came up with $1722 with a $1500 deductible (the higher deductible plans weren’t cost effective). We’re supposed to go on a new plan in December from my wife’s job that went from part-time to full time. It will be in the same cost range as yours, but the employer is paying 70%. I’ll be happy for as long as that lasts, after which we’ll go back on COBRA, until we figure out what to do next. In our neighborhood we have a doctor practice that started up a couple of years ago, members only. They don’t take insurance. The monthly membership fee is $50 per person and a small payment per visit. They have arrangements with labs for low cost lab work and meds as well. I don’t know what the deal would be with any kind of hospitalization or out of area health needs. It says they are ACA compliant. Practices like this are popping up more commonly in our area. This could be a good choice for many people. Hi Marissa – I’m hearing about those too, but I think they’re cash-pay doctors, and not ACA compliant. But things are changing all the time, so maybe this is a significant development. Do some research before participating (assuming you’re interested), there could be scam artists cashing in on the ACA confusion – who knows? If it looks like it’s for real, please report back, either here or via email. If this isn’t a scam, it could be a real alternative. I had an economics professor in college who said that the system you’re describing is how healthcare works in China or did 30 or so years ago. He said people pay the doctor when they are healthy to care for them when they’re sick. It also creates a built-in incentive for the doctor to cure people so they can go back to work and continue paying him or her. We can learn a lot from ancient cultures, but we’d have to get over ourselves first. Fritz’s blog is more about self-affirmation and the false dichotomy that you can’t really begin to enjoy life to its fullest until you’ve retired. Real honest data-driven planning is not his forte. I believe he and his readers woefully understimate the chance of a multi-million-dollar medical expense. And I believe he’s 60+ so he’s got a relatively short bridge to cross till he reaches Medicare. I’d love to retire at 55 but lack of visibility into health insurance and the inability to work part-time at my current employer/profession have me stuck in place for now. We can’t all work part-time at Starbucks. I have to disagree with you about Fritz Larry. I consider him to be one of the more reasonable voices on early retirement. And of course, Fritz has no control over what contributors on his site write. I haven’t gotten a sense from his blog that you can’t begin enjoying your life until you retire, but that is a common theme on many related blogs. 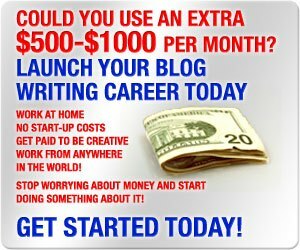 What’s ironic is that on most of them, the writer makes the kind of money that he (and it usually is a he) can save 30% of his annual income, leaving plenty left over for a reasonably comfortable life. It’s not the kind of sacrifice or financial guerilla warfare someone with an ordinary income would need to engage in, which will also include living at near poverty levels for many years. But back to health insurance, there really are no satisfactory options. I’ve laid out several in this article, but it’s likely you’ll have to use several, particularly if you retire very early, like before 50. This is a problem that isn’t going away, which is why the early retirement crowd prefers to ignore it and pretend all will be well. Well, I guess my writing style works better with the math and financial planning crowd. Fritz’s site appeals more to the philosophers and the dreamers. To be sure, he does not write with the angry tone of the young “FIRE” crowd, who all claim to have hated their careers and loudly proclaim the mantra that they “quit a job that they hated, that earned money to buy stuff they didn’t need, to impress people they didn’t like”. I have bookmarked about 50 of your posts for later reading. (And I only went back about 30 pages.) It would be very helpful if you tweaked your site to put publication dates on things.